Launched in 2007, the SPACE Youth Bus isn’t just a random name we came up with – it really is a specially converted double decker bus! Thanks to funding and support from BBC Children in Need, Big Lottery Fund, Calico Homes and Transdev, for the last 11 years, our bus has been a free place to ‘hop on’ for young people in the Burnley and Padiham area to access four nights a week. Our Youth Matters ‘Listen to Us’ survey asked 1000 young people from high schools across Burnley to identify what resource would lead them to live a more positive life in their communities. The bus was the result of that survey. But, why call it SPACE? 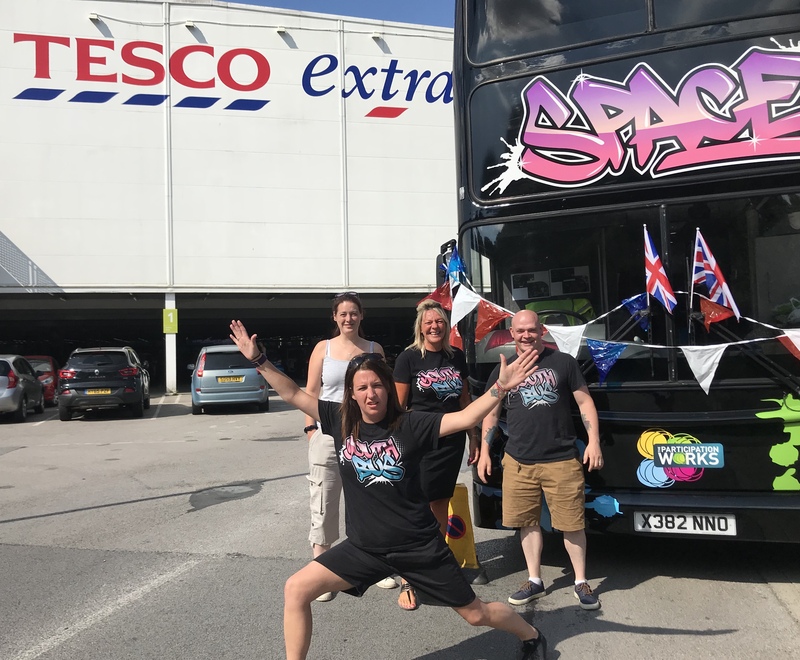 After running a local competition to name our fully kitted-out double decker, the name SPACE was coined to represent the idea of a Social Place for Activities, Chilling out and Enjoyment. As well as being completely apt, the naming of the bus really gives our young people a sense of ownership over this provision. Our bus is particularly effective in meeting the needs of young people in their own communities because we are actively IN their communities whilst we are working with them. In the neighbourhoods of the young people who need access to a safe place and a positive distraction the most, our team break down territorial barriers and overcome any restrictions against our young people who cannot attend youth clubs or ‘permanent’ facilities due to cost, location or behavioural issues/special needs. The bus is warm in winter and cool in summer, but whatever the weather, it’s always a popular place to chill. Young people who hop on can dive straight into any of the activities taking place, or can just sit and relax, knowing that they can get involved as little or as much as they like when they feel ready. Coming aboard is that first important step. Owing to the fab team of staff we have on board, we even encourage our young people to bring along their homework or any school projects they’re working on. If we can support, then we will! We even have computers, WiFi and access to digital media! As well as being a big hit with the young people of Burnley, HRH The Prince of Wales was also a big fan of our bus during his visit to our town in 2008. In addition, the European Regional Development Fund (ERDF) showcased the Youth Bus in Brussels as an example of good practice and effective use of funding. Back home, The Home Office highlighted SPACE as a case study at their Celebrating Success Conference, and we were cited in a Best Practice Case Study in tackling antisocial behaviour by the Audit Commission – ‘Tired of Hanging Around’ Report 2009. Supermarket giant, ASDA, used the Youth Bus as a best practice example to launch a nationwide project named ‘OnRoute’, which invested one million pounds into mobile youth provision across the country in 2011. 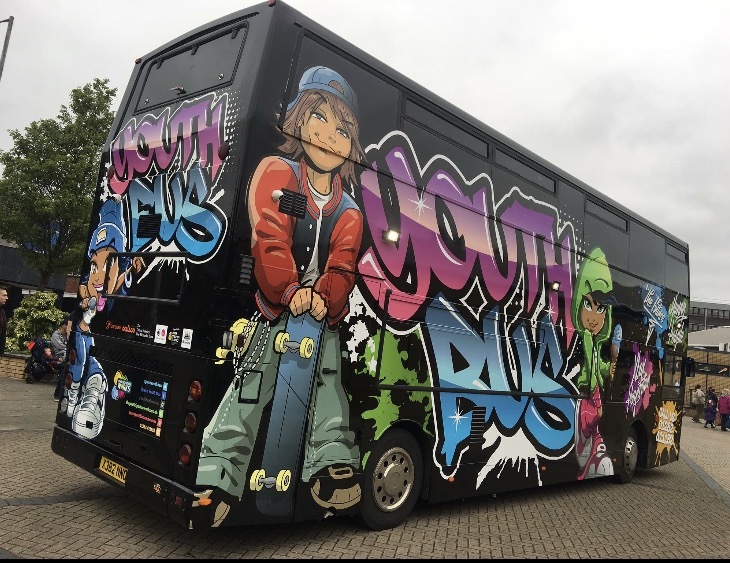 At The Participation Works, we welcome any support through funding, sponsorship or capital investment, to ensure that our popular Youth Bus project can continue to be a sustainable feature within the local area. Likewise, SPACE is also available to hire! 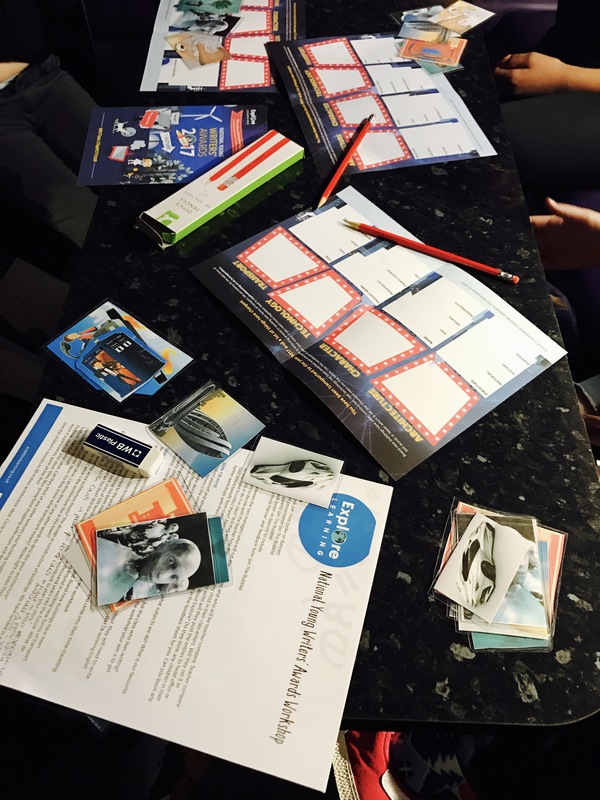 Organisations can utilise the bus to showcase their work, reach out to their clients and local community, run activities, or offer it as a positive engagement activity. To date, SPACE has already been used by a local Housing Association for their community celebration and engagement events, by the M3 Project as part of their support for homeless young people in Rossendale, and by countless local schools who utilise the resource as a reward retreat for deserving students. Please contact us for more information.